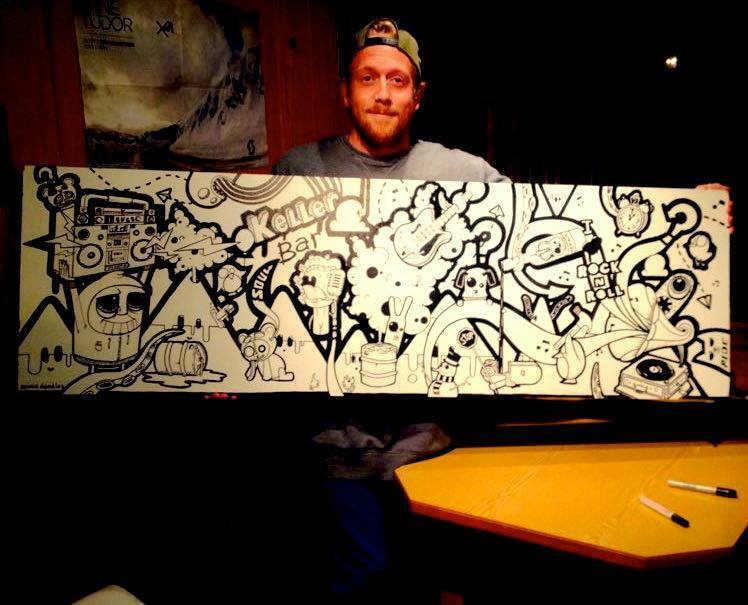 Benji Sowter is the creator of this fine work and has been doodling his way around the world. You can see some of his great artwork in St. Anton am Arlberg in Austria at the Keller Bar and Murrmel Club. 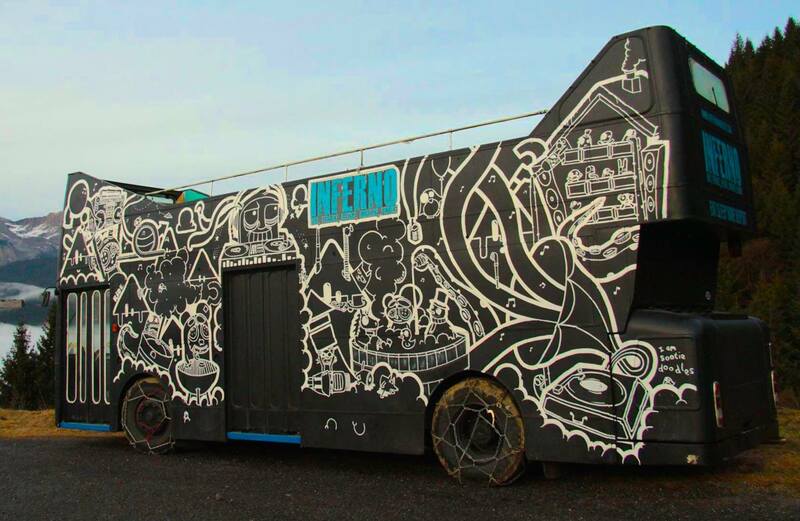 He has also recently finished painting a really cool bus in Morzine, France, for Inferno bar and Chalet which we recently had the pleasure to perfom on.